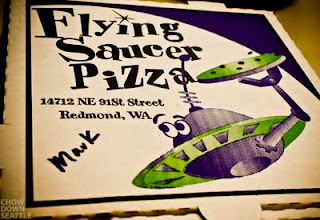 Today I tried out Flying Saucer Pizza in Redmond for lunch. First off, I love the name, and they have pretty cool pizza boxes. Flying Saucer Pizza specializes in personal-sized pizza. Their menu is filled with cleverly named pizzas. Some of the names include: Asteroid Belt (loaded with Italian sausage), The Big Bang (all meat pizza), Black Hole (pepperoni & black olives), The Red Planet (pepperoni & more pepperoni), and many more! I went with the Moons of Jupiter pizza (pepperoni, mushrooms & Italian sausage).﻿ The pizza was delivered and it arrived nice and hot! The pizza was delicious. 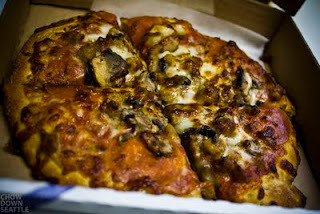 It had the perfect amount of toppings, and the crust was perfectly crispy. Their personal pizzas come in two sizes: 8 inch and 10 inch. I went with the 8 inch personal pizza, and it was plenty of pizza for me. I was perfectly full. I'm a pretty picky pizza eater, and I'm hard to impress, but I was pretty impressed with Flying Saucer Pizza. 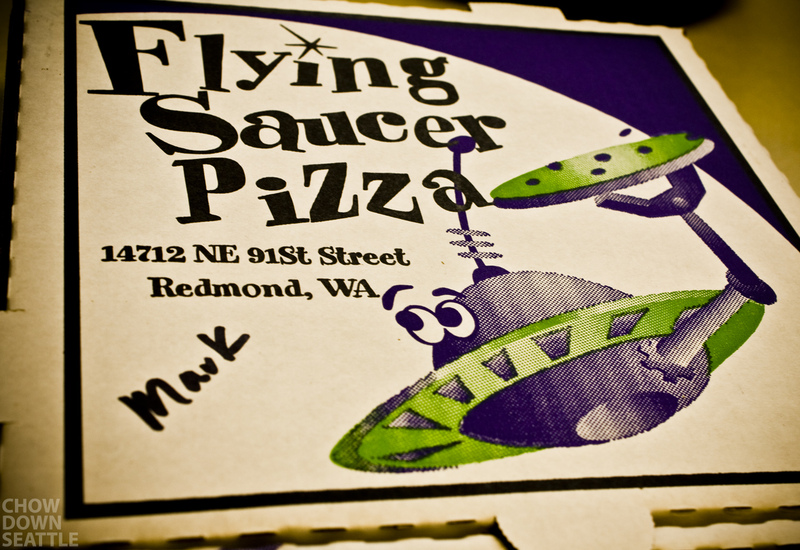 Flying Saucer Pizza is located in Redmond, WA. You can either dine-in, take-out or delivery. You can call in your order, or place your order online through their website.